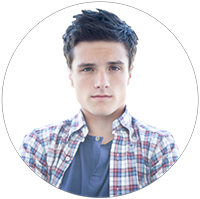 Indigenous Media has launched a new film incubator in partnership with actor/producer Josh Hutcherson (The Hunger Games, The Kids Are All Right) and Michelle Hutcherson, and powered by the Black List. Using the search capabilities of the Black List website, they are seeking young adult generation-defining screenplays - comedy, drama or thriller - featuring core characters in their late teens to late twenties. For each selected screenplay, Indigenous Media will provide the writer(s) with financing to produce a short film based on the chosen script with the potential to fund or produce the feature-length version of the screenplay. Any script currently on the Black List or uploaded until January 17, 2016 is eligible for consideration. As is the case with all scripts hosted on the Black List website, writers retain all rights to their material. If selected, participation in the Indigenous Media incubator will be at the writer(s)'s discretion.